I am so glad that I get to watch preseason NBA Basketball on Direct satellite tv. It gives me a chance to see a lot of different teams and gives me a good idea as to hat teams may be good this year. 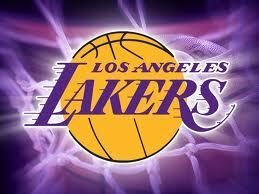 My favorite team is the Los Angeles Lakers. Kobe Bryant is one of the best all-time basketball players in the entire history of the National basketball League. I am so glad that Kobe Bryant is on my favorite team. I really enjoy watching Kobe play and I like to cheer him on, but I may not feel the same way if he played for a different team. Phil Jackson is the coach of the Los Angeles Lakers and he is simply an amazing head coach. I expected a lot out of Kobe and Shaw when they were playing together but Shaq failed. Kobe is doing much better now that he does not have to deal with the dram that constantly surrounded him and Shaq when they did play together. Phil Jackson is one of the best coaches of all time and he is coaching Kobe who is one of the best players of all time. The best coach combined with the best player is why I have high expectations for the Lakers to win a championship again this year. The Lakers are a strong team and they will prove it once again. Lakers are looking to keep their undefeated streak going tonight. This looks like one of the strongest Lakers teams I have seen in years and I would love for them to try and beat the record for most games won in a season! there'll be teams in the future in the finals, who will execute better offensively but defensively since Jordan's bulls this is the best defensive team!